I bought a soy milk maker finally. Very exciting news. It is a Soyajoy G4 and it is fabulous. It not only makes soy milk but also hemp, almond and rice milk. I bought it a few weeks ago and I have made just about every variety of milk so far. 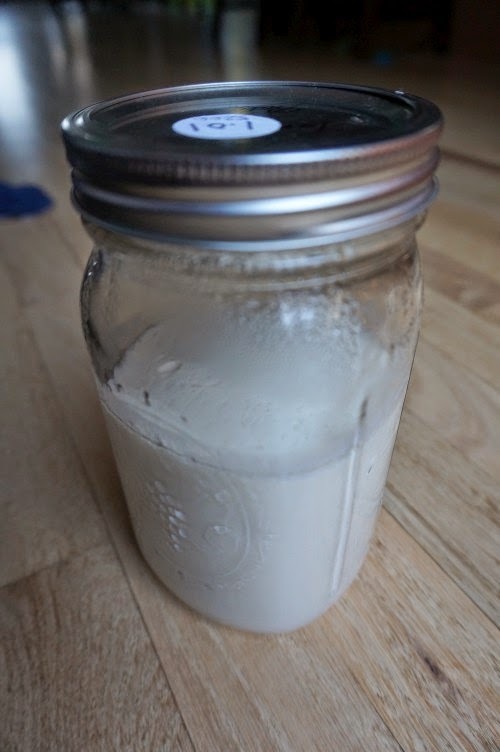 The Fat Free Vegan blog has a post on homemade soy milk and also for making tofu. 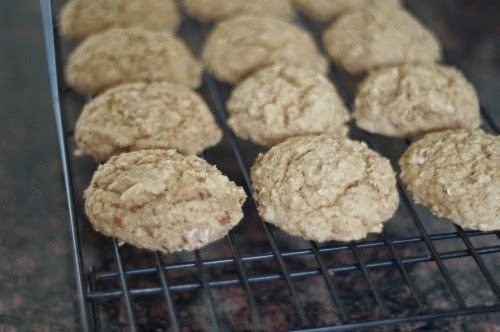 She suggests adding a few tablespoons of oats along with salt to reduce the bean taste when making homemade soy milk. I haven't made tofu yet but it is on my list. 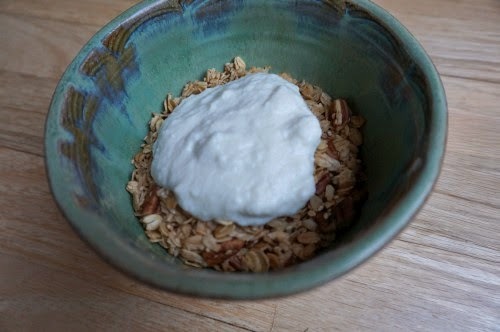 I do make yogurt now though using all the wonderful homemade nondairy milk varieties. The recipe is based on the one from the Artisan Vegan Cheese book. I use a nondairy yogurt starter by Belle+Bella. I start by pouring hot water in two quart mason jars along with the lids. I then add 1 teaspoon of agar and 2 tablespoons of organic corn starch to a saucier pan along with a half a cup of water. Bring to a boil and simmer for about 10 minutes until the mixture is thick. Add this mixture to a blender along with 2 cups of nondairy milk and 2/3 cup of soaked cashews. Add this mixture to a sauce pan along with an additional 1 1/2 cups of nondairy milk. Using a thermometer, bring the mixture to about 105 F. Turn of the heat and check the temperature again. If it is over 112 F then let it cool a bit before adding the starter. If not then add the starter and pour the mixture into two quart mason jars. Cover with a warm blanket and let it sit for about 24 hours. Put it in the fridge and enjoy. The interesting thing about making all the of the nondairy milks is I am left with quite a bit of pulp. Since I make a lot of soy milk it is typically okara. I have a composter in the back yard so that is definitely an option but I also like to bake a lot so I figure why not add it to scones. Here is my recipe for okara scones. 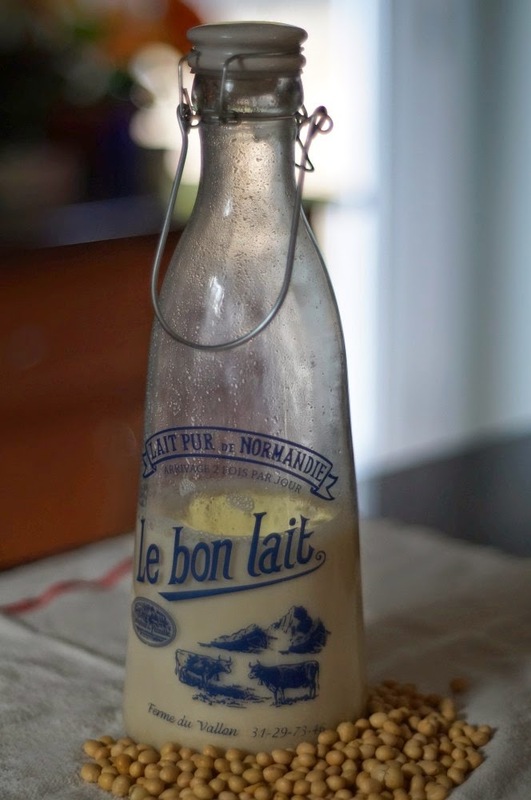 It also works great with almond pulp from making almond milk which by the way tastes fantastic and is so much better than what I used to buy at the store. Add the wet ingredients to a bowl and mix well. Add the dry ingredients and mix again but don't over mix. Using a 2 inch cookie scoop place the dough on a oiled cookie sheet or use a silpat. Bake at 400 F for 12-14 minutes until the edges are golden brown.